Lufthansa has appointed Alexander Frigo as district sales manager, Pacific Northwest and Colorado. In his new role, he will be responsible for monitoring sales planning, coordinating marketing activities and assisting with business plan development to achieve corporate and retail revenue, marketshare and yield targets in the Northwest region. Frigo has worked for Lufthansa for 10 years. His most recent position, based in Chicago, was as manager-sales processes and effectiveness, where he liaised with joint venture partners on numerous sales topics and assisted in integrating Swiss into the transatlantic joint venture. Prior to this, he was a sales representative in Washington, D.C., managing the negotiation of contracts and developing sales strategies for the airline. 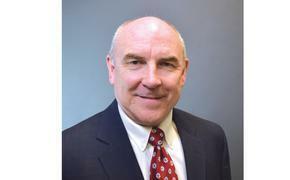 In his new role, Frigo will report to Peter Ulmer, director sales, Western USA.